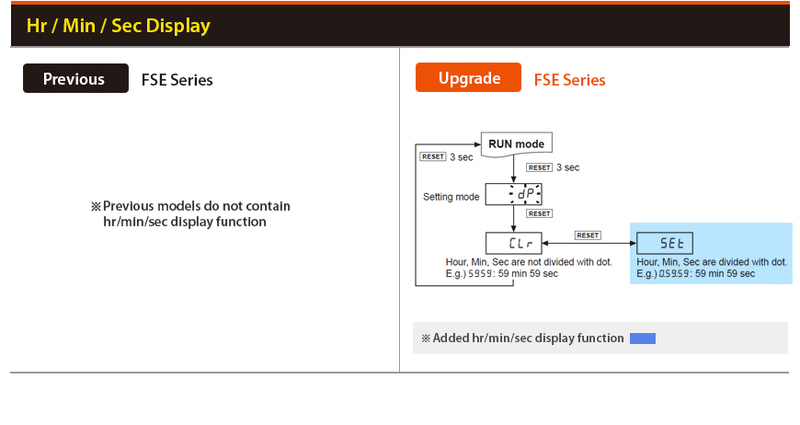 The FSE series digital timers feature a wide time setting range between 0.01 seconds to 9999.9 hours. Simple configuration is possible with the front thumbwheel switches. The 8-pin plug type connection allows easy installation and maintenance. 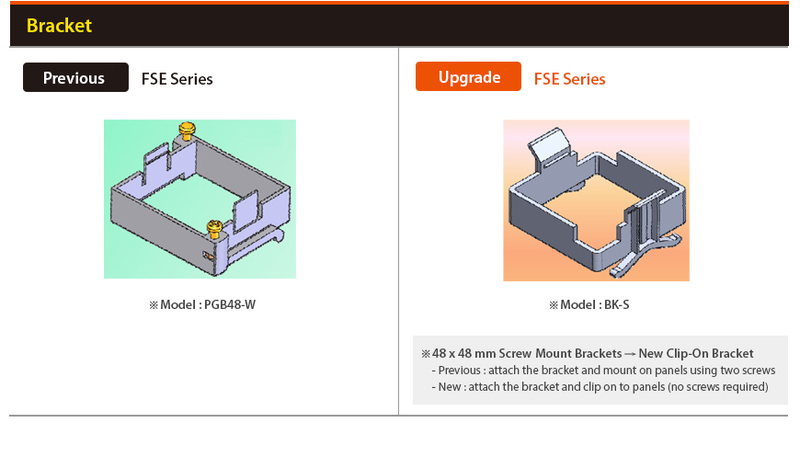 The FSE series timers are available in 4-digit and 5-digit models. 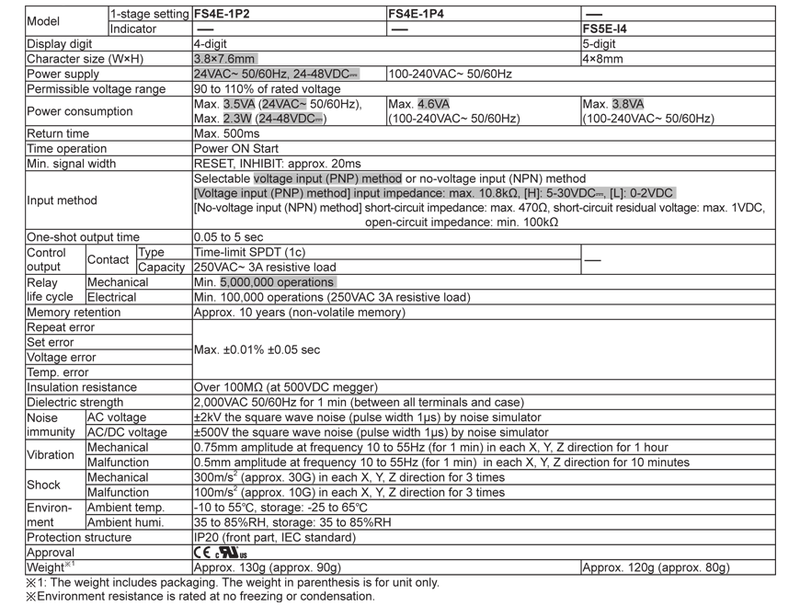 * "Power supply: 100-240 VAC 50/60 Hz (AC type)24 VAC 50/60 Hz, 24-48 VDC (AC/DC universal type)"